Featuring the WWE's biggest personalities and champions, these bold and colorful Elite Collection action figures come ready to wreak havoc, right out of the box! Each figure has deluxe articulation, a detailed character expression, authentic ring attire, and iconic accessories. Grab all the WWE Elite Collection action figures and let the battles begin! Ages 8 and up. 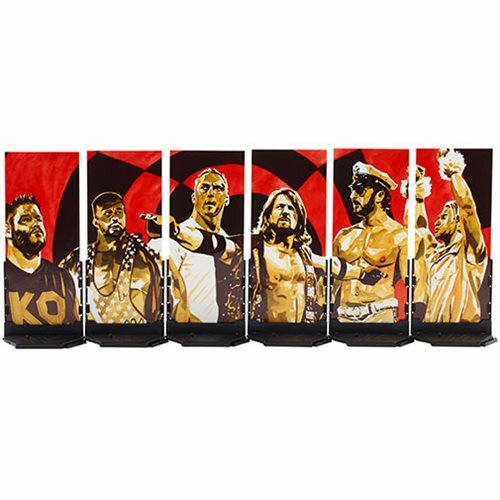 This WWE Elite Collection Series 61 Action Figure Case (999H) contains 8 action figures.